Commissioner Robert B. Yudin has a broad depth of knowledge, experience and leadership skills in both the business world and public service. He is the owner of Yudin’s Appliances in Wyckoff and has served in government at the State and local levels. He is the former Chairman of the Bergen County Republican Organization. Commissioner Yudin served his country as a U.S. Navy Veteran, Lt. j.g. Airborne Navigator during the Vietnam era and graduated from the United States Naval School of Justice in Newport, RI. He is a member of the VFW and the Jewish War Veterans. Mr. Yudin is also dedicated to community service. He is a volunteer Wyckoff Firefighter and former Chief of Sicomac Engine Company #3. He is also a former member of the Bergen County Fire Academy Education Advisory Board. Mr. Yudin was an elected member of the Township’s Board of Education for six years and Vice Chairman of the Planning Board. Commissioner Yudin served on Gov. Chris Christie’s Transition Team for Labor and Workforce and on Gov. Christie Whitman’s Transition Team for Business and Commerce. In addition, he was Administrator for the State’s Interagency Coordinating Committee, where he enhanced cooperation between the Port Authority of NY and NJ, the Delaware River Port Authority, the Garden State Parkway, the New Jersey Turnpike Authority, the Meadowlands Sports Complex, the South Jersey Transportation Authority, the NJ Water Authority, and the New Jersey Meadowlands Commission. Mr. Yudin initiated extensive cooperative purchasing amongst all the authorities and also coordinated extensively with the New Jersey Department of Transportation. He was also the Department of Commerce representative to the New Jersey Airport Commission. Commissioner Yudin is very proud of his work as a liaison to New Jersey’s Jewish Community and his work with Israel. He served as Executive Director of the New Jersey-Israel Commission and led the group’s first Holocaust Education trip to Poland and Israel. He is a former member of the Board of Directors of the North Jersey Jewish Federation and a member of the Leadership Council of the Republican Jewish Coalition. Commissioner Yudin also arranged for El-Al Airlines to operate direct flights from Newark Liberty International Airport to Israel. He has assisted numerous Israeli businesses in starting locations in New Jersey. 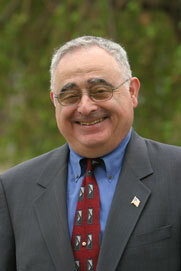 Commissioner Yudin received a Bachelor of Arts Degree in Political Science from Rutgers University.